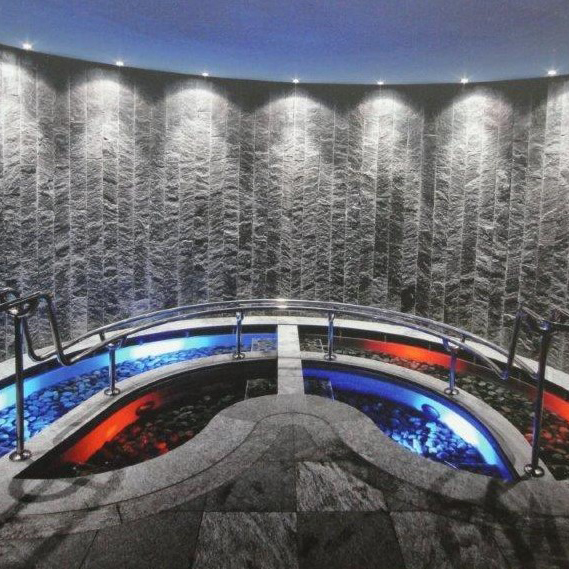 What better way to enhance your spa experience than with a heated walkway. What better way to enhance your spa experience than with a heated walkway. A positive addition to any spa or health club. What better way to enhance your spa experience than with a heated walkway. A positive addition to any spa, health club or swimming pool. Take a walk along the pebbled path that creates a massaging effect on the soles of the feet whilst either warming or cooling through the tiles.